That’s why we’ve launched Liquid Infinity, our most powerful trading feature yet. Go bigger than ever before, with up to 100x leverage when trading Bitcoin CFDs on Liquid. Go long or short on BTC/USD or BTC/JPY with more flexibility than ever before. Experience a fully customizable, professional trading interface built for traders, providing intricate control and comprehensive insight into your positions. Stay on top of your P&L and available margin with our new and improved margin coverage snapshot, built into the Liquid Infinity trading interface. Easily manage your positions, set stop loss and take profit levels, or close your positions if the time is right. Fund your trades, your way. Use crypto or fiat as collateral. Choose from BTC, ETH, XRP, QASH, USD, JPY, EUR, SGD, AUD, GUSD, USDC. Take advantage of our low fees of just 0.05% fee for both opening and closing a position when fees are paid with QASH/LQC. Trade safely. We are one of few exchanges to offer cross margin, so your margin is shared between your positions and backed by your entire wallet balance, reducing the risk of liquidation. And as always on Liquid, you can cash out with ease, straight to your bank account, whenever you are ready. Unlike margin trading, Liquid Infinity is contract-for-difference (CFD) trading, which is based on the price change of an asset, without you ever needing to actually own the underlying asset. 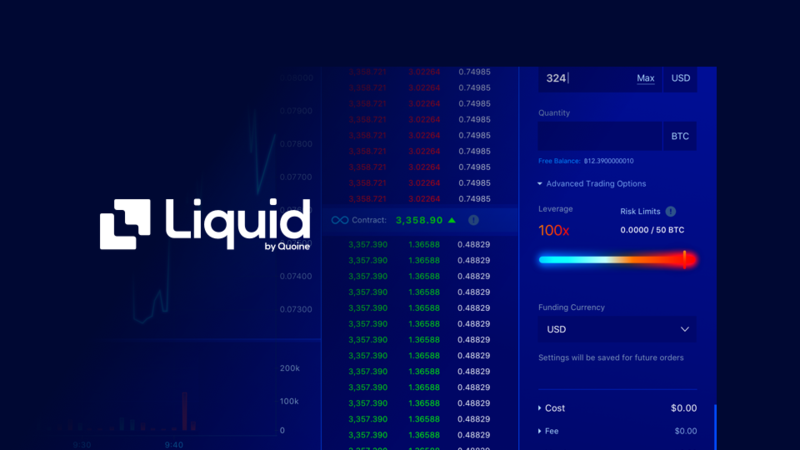 With full flexibility and 100x leverage, we are confident that Liquid Infinity will be a welcome addition to any pro trader’s arsenal. The maximum leverage you can select depends on your position size. Taking on such risk may not be suitable for everyone, which is something you’ll have to decide for yourself.